You will love the natural look of these candles! They are made of real wax and have a hand carved edge that gives them an authentic appearance. This set includes 2 candles that each measure 3" wide and 5" tall. You will also enjoy the convenience of the remote control which allows you turn them on and off. Perfect for Home Decor or Party Decorations! 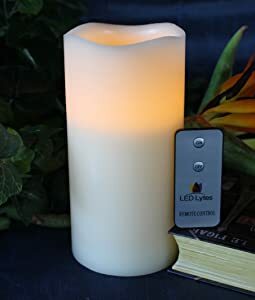 Flameless Candles have grown in popularity with good reason! 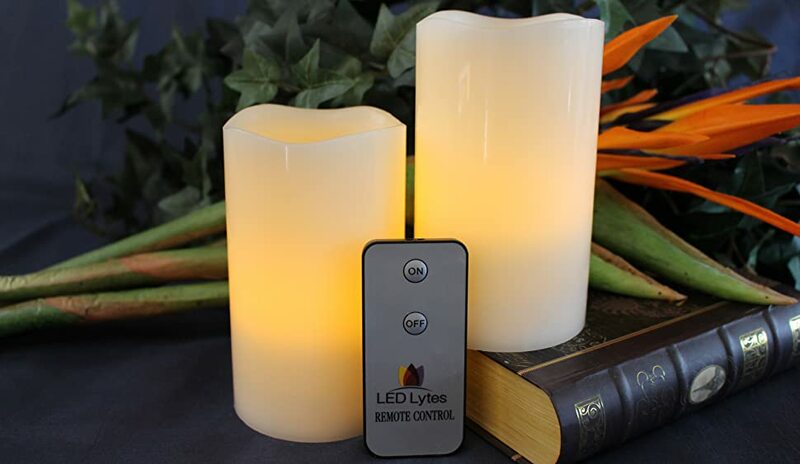 They give your home the comfort and warmth of glowing flickering candle light without the fear of fire! They are safe to use near children and pets. Do you have wedding bells in your future? Flameless Candles are perfect for your Ceremony decorations and they will help you create the Celebration of your dreams! This set of candles are the perfect gift for almost everyone! 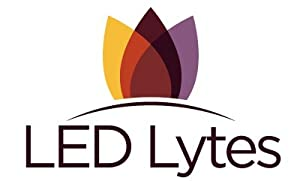 LED Lytes is a family owned online marketer of Flameless Candles. We are located in the United States and we are committed to providing a quality candle experience for your home, party or event! 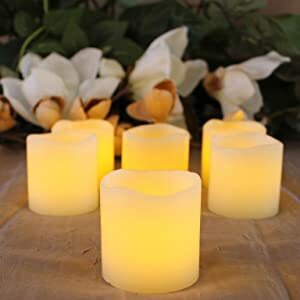 This Set of Six Flameless Candles Has a Natural Dripping Wax Affect Plus They Include a 5 Hour Timer Option! They Are a Slim 2" Wide with Staggering Heights! 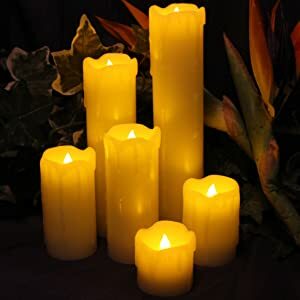 Six Votive Wax Flameless Candles With a Hand Carved Edge, Each Candle Measures 2" Tall and 2" Wide. They Have an On/Off Switch For a Continuous Glow! A Single Pillar Wax Flameless Candle With a Hand Carved Edge, This Candle Measures 8" Tall and 4" Wide. Plus It Incude a Convenient On/Off Remote!